I really do love, love, love every new year. Does it make me sound grumpy to say that as much as I cherish every moment of the holiday decor that I enjoy just as much putting it all away. I guess that’s just called enjoying life’s stages. There is a season for everything, and I cherish the clean up as much as the decorating. New Year’s is great for refocus and renew. I like to get my life reorganized this time of year. Much has happened and so it okay that things get a little out of sorts and needs to be re-adjusted. Now is the perfect time to do that re-adjusting. Whether you need to get your kids toys re-organized after the slew of Christmas gifts, or get your craft room put together, here are a few tips to help you move along. Designing it all correctly makes a difference. 1-If you can’t build out…build up. Many of us feel that we our out of room in our spaces, but we are mostly only using our floor space. 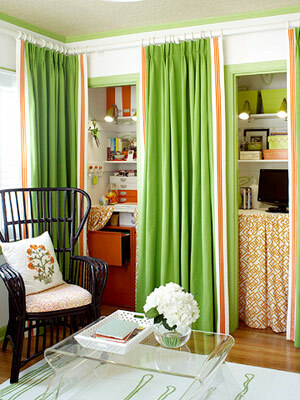 If you utilize the vertical space in your room, you will find more room for storage. Try tall bookshelves or add shelving around the room. 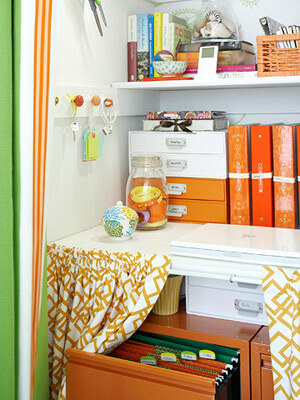 2- Organizing products can add design style to your space. Colorful bins, baskets, stylish labeling, and other cool products add design style to any space. 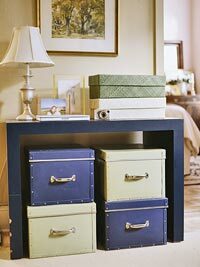 Products that help you stay organized can add repeated color or texture to any space. 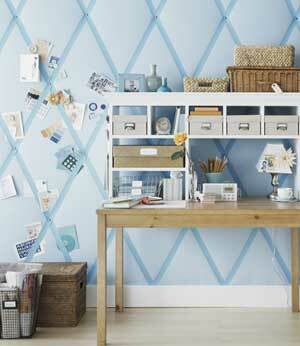 3- Organization tools make great wall art. Bulletin boards, chalk boards, wall organizers, and other creative wall organizers are perfect to use as art and add style to any space. Here one whole wall is a ribbon bulletin board to add major drama, not to mention function. 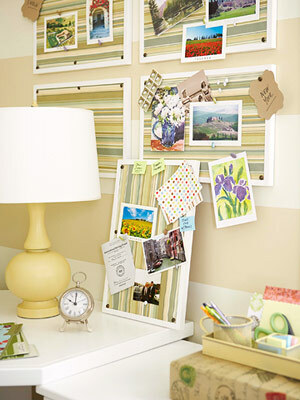 The striped papers in the bulletin boards adds repetition and a great focal point. 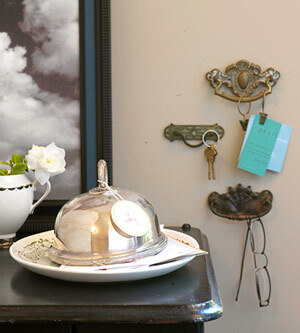 4- Use pieces that can be re-purposed or re-arranged to keep up with your changing lifestyle. The key to staying organized through life’s phases is to use dual purpose furniture pieces or items be easily reconfigured to change with your lifestyle and growing (or shrinking) family. Bins can be pushed under pieces to store toys then can later be used for office files. And remember..for every hour spent in the planning phase, three to four hours are saved during the execution phase (finding your keys or the baby’s favorite toy).